Mickey Anderson started fly fishing in 1974 but didn’t really get his real passion for the sport until he got help with fly tying and casting from Emmet Heath at Anglers’ Inn around 1978. The passion grew and in 1979 he was a commercial fly tier and started teaching fly tying for Anglers’ Inn. He started working at Anglers’ Inn in 1980 and learned fly fishing at an accelerated rate with Emmett, Gean Snow and Byron Gunderson. The passion grew and in 1981 he started teaching fly fishing classes at Anglers’ Inn with Gean and Emmett. In 1996, Mickey and Byron Gunderson started Fish Tech and Mickey still works there. Designing new fly-fishing products has always been one of Mickey’s passions. He is currently on the pro staff of the Sage Rod Company, Rising, and Umpqua Feather Merchants. In addition to fly fishing Utah about 100 days per year, Mickey has fished fresh and salt water across the North American continent, from Northern Canada to Southern Mexico. On one of these trips he caught a world record pike. The knowledge learned from these adventures has helped him get many Utahns ready for their trips, assembling their equipment with the right knots or teaching them how to cast a new rod or tie a new style fly. But satisfyingly, every workday, Mickey helps Utah fishers have an enjoyable trip on Utah waters. 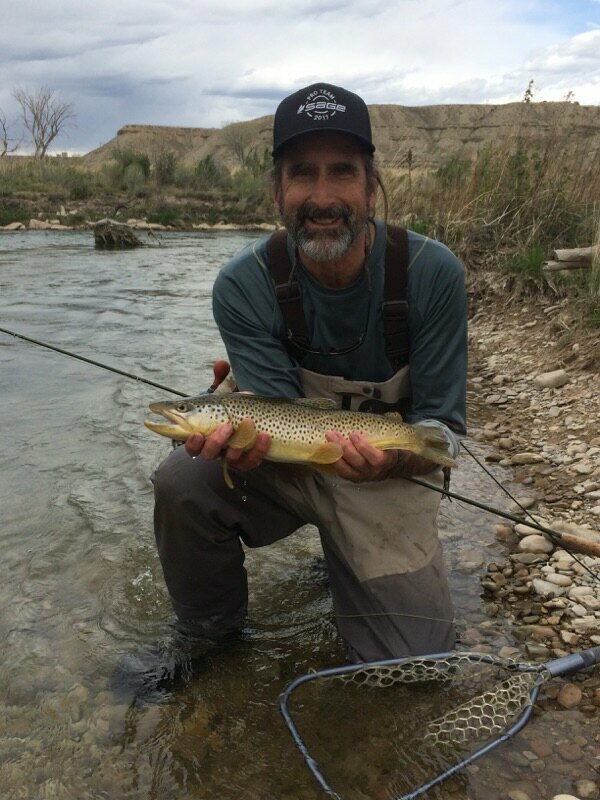 Mickey was the first casting instructor in Utah to be nationally certified by the Fly-Fishing Federation instructor’s course and is still the longest certified. Mickey was nationally certified by the Becoming an Outdoors Women(BOW), program. This program introduces women to outdoor activities and Mickey taught the fly fishing and tying classes. This program has since changed to Women In The Outdoors (WITO) and Mickey taught for them as well. 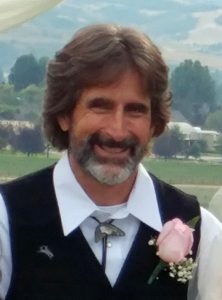 Mickey was selected by the Sage rod company to be one of their instructors for Utah, Idaho and Montana. As an instructor, Mickey worked with 4 high school fly fishing clubs giving classes on tying, casting, rod building and entomology. Throughout his career, Mickey has given fly fishing demonstrations for the boy scouts, church groups, family outings, military bases, high schools, juvenile detention centers, and even adult prisons. Mickey is on the stage every time an outdoor convention or fly fishing club will let him. Mickey has had over 100 students a year in both tying and fishing for the first 30 years but has slowed a little in the last 10 years. Mickey appears regularly on outdoor television and radio programs. Many of the television shows have been made into YOU TUBE videos including the highest viewed KSL OUTDOORS video. As an author, Mickey authored the first fly tying CD with Amiable Instruction. Mickey is currently a contract fly tier with the Umpqua Feather Merchants and some of his flies are featured on You Tube tutorials. In addition to designing flies, Mickey has designed soft goods to make carrying fly fishing tools more convenient. Mickey consulted for William Joseph packs from 2001-2005, and was instrumental in the design of their extremely popular Chest Pack. Mickey is Head Soft Goods Designer for Rising from 2006 to present. He created the Flask & Shot pack as well as The Answer net holster. The Flask Pack won best of show award for chest pack/vest at 2011 & 2012 IFTD Shows. Mickey worked with the Cortland Line Company with the casting and fishing portion of the design work for their revolutionary line Trout Boss. In the year 2000, Mickey won The Stonefly Society’s President’s Award for work he did with the Willow Pond project, one of the most successful community fisheries in Utah. The Gean Snow Award, 2017. The Best OF Show Award twice for Chest Pack/Vest at IFTD, 2011 and 2012. World Record for 12-pound-line class pike on a fly, held 1983-1988.